Machu Picchu: with ISIC card or university card? 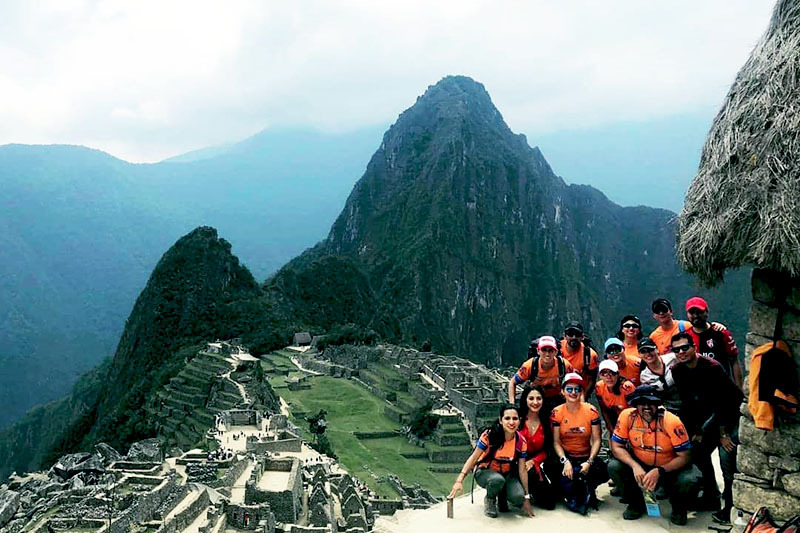 A few years ago, the reservation of the entrance Machu Picchu with discount for students was made with the ISIC card. Today, the only valid document is the valid university card. Learn how to access the Machu Picchu ticket discounts for students and the latest changes made. What are the types of tickets Machu Picchu? How much does the ticket Machu Picchu cost? How to book the ticket Machu Picchu? Book with ISIC or university card? How to book the ticket Machu Picchu with a university card? What requirements must the university card meet? What other requirements must the university student meet to visit Machu Picchu? What other discounts does the ticket Machu Picchu offer? How to access the ticket Machu Picchu discounts? Why can not I book the entrance to Machu Picchu with an ISIC card? Why can not I book the Machu Picchu entrance on the official website? Is it possible to buy the ticket Machu Picchu with a student discount with a library card or registration certificate? Do high school students get the student discount on the ticket Machu Picchu? Do graduate students have access to the student discount on the ticket Machu Picchu? Is it possible to find availability if I buy the ticket Machu Picchu with a university card directly in Cusco? There are up to 4 types of tickets Machu Picchu . All include the entrance to the Wonder of the World. This ticket includes the entrance to the Inca City of Machu Picchu. There is availability for 5000 people every day. This ticket includes access to the Inca City and the Huayna Picchu mountain. There is availability for 400 people each day. This ticket includes the entrance to the Inca City and Machu Picchu Mountain. There is availability for 800 visitors per day. This ticket includes the entrance to the Inca City and the Machu Picchu Site Museum. Availability is subject to the Ticket Machu Picchu Only. There are 2 ways to buy the entrance Machu Picchu: buying the ticket directly in Cusco or doing it online. How much does the entrance to Machu Picchu cost? The travel agencies that offer tickets Machu Picchu have a price with an additional cost to the official price. Prices vary according to the type of entry. In addition to the university students; Minors and citizens of the Andean Community (Peru, Colombia, Ecuador and Bolivia) have a special discount. Adult 152 S/. 200 S/. 200 S/. 174 S/. Student, Child 77 S/. 125 S/. 125 S/. 88 S/. Adult 64 S/. 112 S/. 112 S/. 86 S/. Student, Child 32 S/. 80 S/. 80 S/. 43 S/. Enter the official Machu Picchu ticketing website or an authorized agency. Select the entrance type Machu Picchu as well as the opening time or shift. Complete the booking form with the personal data of the visitor. Send an email with the digital copy of the passport or tourist identity document. Receive the tickets in the email inbox and print them. On the internet, there are 2 ways to acquire the Machu Picchu entrance: on the official website or at an authorized tourism agency. University students have access to the discount on the price of the Machu Picchu ticket if they make the reservation with the valid university card. The ISIC card (International Student Identity Card) is no longer a valid document to buy the ticket Machu Picchu with a student discount. The university card is the only valid document for the acquisition of the ticket Machu Picchu. The reservation is not made with any other type of certificate. The only way to buy the entrance to Machu Picchu with a student discount online is through an authorized tourism agency. This is because the official website does not allow the purchase at a discount for students. Enter the website of a tourism agency authorized to buy the entrance Machu Picchu university discount online. Complete the booking form with the personal data of the student. Send an email with a copy or digital photo of the valid university card. Make the payment of the ticket Machu Picchu with student discount. Receive the tickets Machu Picchu and print them to present them the day of the visit to the Wonder of the World. The university card must meet certain requirements to be accepted. Otherwise, you can not make the reservation, either online or in person in Cusco. Original card issued by the university of origin of the student. Be less than 25 years old at the time of the visit to Machu Picchu .. Present the passport or identity document. Minors (between 8 and 17 years old). Citizens of the Andean Community of Nations (CAN): Peru, Colombia, Ecuador and Bolivia. How to access the ticket Machu Picchu with discounts? Minors: passport or identity document proving the age of the visitor. Citizens of the CAN: passport, identity document or immigration card that proves the nationality of the tourist. Children under 8 years old do not pay for their entrance to Machu Picchu. They should only be accompanied by their parents and show a document that validates their age. Due to the fact that many cases of falsification of the ISIC card were discovered during the purchase of the ticket Machu Picchu, it was decided that the university card is the only valid document. Many students falsified their data when booking the student ticket for the Machu Picchu ticket. That is why now the reservation can only be done in person or through an online tourism agency. Is it possible to buy the entrance to Machu Picchu with a student discount with a library card or registration certificate? No. The only valid document for the purchase of the Machu Picchu entrance with a student discount is the valid university card. Do high school students access the student discount of the ticket Machu Picchu? Only students of institutes that have a university card validated by their institute can access the Machu Picchu ticket discount. No. Graduate students do not access the university discount of the ticket Machu Picchu. Although it is not advisable to wait until the last moment to buy the Machu Picchu tickets, it is still possible to find availability at the last minute. Of course, the Huayna Picchu entrance must be booked up to 3 months befores. ← What tickets to buy to go to Machu Picchu without a tour?